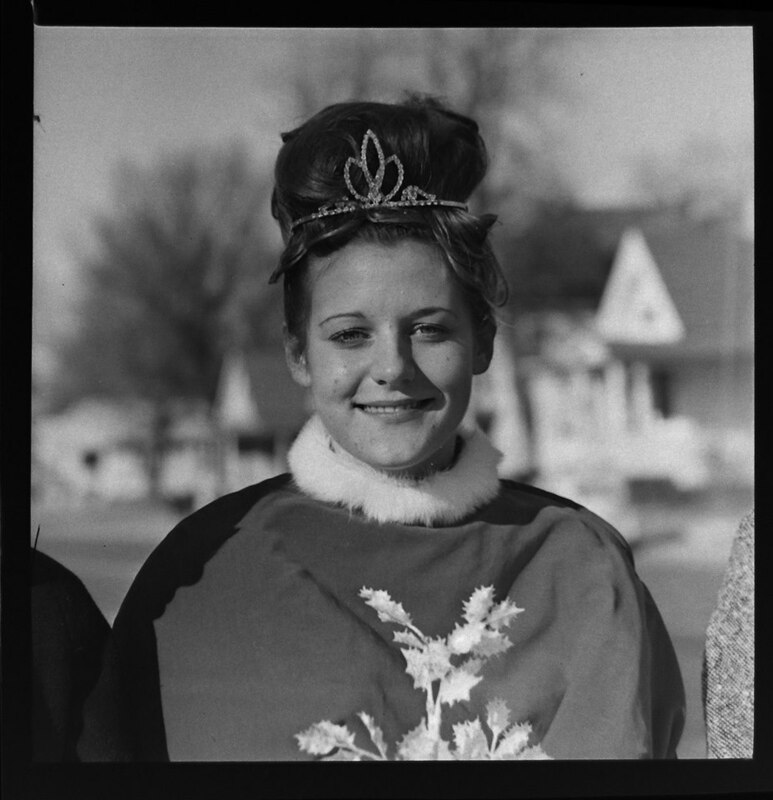 #143 P3 Mary Dulavey, 1966 Parsons Christmas parade queen from Galesburg, Ks. I bet Mary knew Dr. Strahan's daughter Lela Strahan at Galesburg and Becky & Carol Crispell & Cathie Noel's grandparents Bernice & Evert Hughes at Galesburg. Dr. Strahan was also Bernices dad.